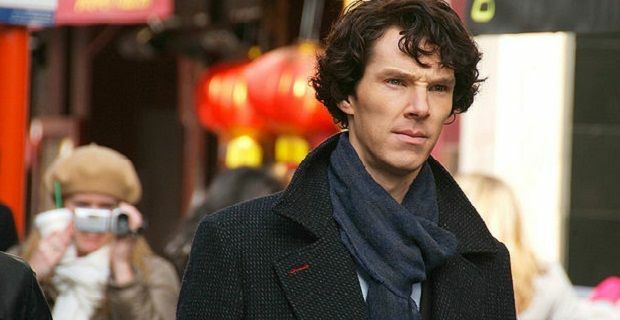 The two year wait for the third series of the modern retelling of Sherlock Holmes’ stories won’t be repeated between the current series and the fourth season of Sherlock but there’s no news yet of when the next series will begin filming. “Benedict Cumberbatch and Martin Freeman are apparently in movies,” the show’s creator Steven Moffat said. “So we've got to schedule around them, but we'll get them made as quickly as we can,” he promised. The show’s producer echoed those sentiments. “We're working on it - it's dates,” Sue Vertue said. Sherlock series 3 began on New Year’s Day with the long awaited answer to how the show’s eponymous character survived the fall from the Reichenbach building. It was well received by viewers and by critics alike but the second episode that concentrated on John Watson’s wedding was called “boring” and “self-indulgent” by many critics as it spent more time showing Sherlock’s awkwardness towards his friend’s wedding than building on the sort of tense and gripping plots that the show’s success has been based on. Cumberbatch is still the best Sherlock since Jeremy Brett’s portrayed the odd and ingenious detective on ITV but some of the character’s idiosyncrasies are wearing a little thin. Perhaps being away from the character for so long has caused Cumberbatch to lose a bit of the touch that drew audiences to the show. We hope that’s the case as there’s got to be loads of mileage in the BBC series. The third episode of the third series is on this weekend. 'His Last Vow' will be broadcast on BBC One on Sunday, January 12 at 8.30pm.